Glass Lyre Press "100 Thousand Poets for Change"
​Poets Look at Paintings, Poetry Center of Chicago, Chicago Cultural Center, November 18, 2015. First Annual Evanston Literary Festival, 2015. 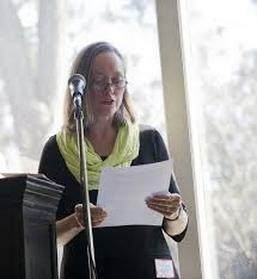 Featured Reader, Jenene Ravesloot and Tom Roby's "Salon", May 2014. “RHINO: 37 Years of Charging Forward.” AWP. Seattle, Washington, March 2014. Reading with Sibling Rivalry Press, Seattle, Washington, March 2014. Illinois State Poetry Society, Brewed Awakening, March 2014. Woman Made Gallery, Featured Poet, September 2013. WGLT Poetry Radio, Featured Poet, 2013. Takoma Park, MD Poetry Reading Series, Jan. 17, 2013. Illinois Wesleyan University, Featured Poet and Guest Lecturer, Oct. 25, 2012. Pushcart Prize Nomination: “Skinned Mammals.” Sibling Rivalry Press 2012. Top Shelf Poets, Powell’s Bookstore, Oct. 14, 2012. The Ragdale Foundation, Lakeforest, IL, June 3, 2012. Molly Malone’s Reading Series, Oak Park, IL, Summer 2011. Northwest Cultural Council, Palatine, IL, 2010 and 2011. Wordslingers Radio Program, FM, 2010. Brothers K Coffeehouse, Evanston, IL, 2008, 2010, 2012. St. Paul Cultural Center, Chicago, IL, 2009. The Writer’s Center, Bethesda, MD, 2006.